You are a person who loves creativity, and you want to turn your discarded objects into useful ones, which can both be recycled and save money. By closing the wooden bed in this lesson, you will also keep the cost of buying a bed while still being comfortable creative based on your imagination. Prepare complete tools and materials. Note: You can use old pallets or buy them in carpentry workshops. When buying pallet wood, you should also pay attention to the quality of the lumber. Should consider carefully whether wooden pallets are still stable or not? The wooden slats to assemble into a block of wooden pallets must be even, and it is still sturdy. You should be careful when choosing to buy it because if you are unlucky, you will obtain “out of date” wooden pallets and not be able to assemble a bed. Using the standard nail, screws to attach the 75 “2×12 plate to the 60” x75 “frame. Step 2: Add the connecting bars to the frame. Divide the bed into three equal parts, put in it the 57″ 2×12 sheet, then use the screws to join the connecting bars into place. Set the finishing frame aside. Step 3: Add the background to create a thick base for the bed. Use standard nails, screws to mount 85 “2×4 sheets and two 67” 2×4 plates into the 70 “x85” frame. Divide the bed frame into four equal sections, close the 67″ 2×4 panels with screws to get them in the right place. Add plates with a size 19 3/8 2×4 between connecting bars, one part attached to two panels. Divide them into equal but separate segments, so the outermost one in the left and the second one on the side have the same auxiliary bar and as well as outermost one the right. Use screws to attach them. Step 6: Fix the corners and joints. Add to the inside of the corners in both the background and the bottom of the bed with the support shape L. You can also add L frames around some other inner joints to make sure. Your thick soled bed is about to be completed! Step 7: Add plywood to the surface. Measure and cut the plywood to fit the surface. It may take two plywood to conceal the surface. Attach the plywood to the position by closing the screw on the connecting bars on the inside, so the screws will not expose on the contact surface. Step 8: Paint the bed. Polish and paint the bed with the colors you want. Step 9: Put a plank bed on the bed and nail it back. 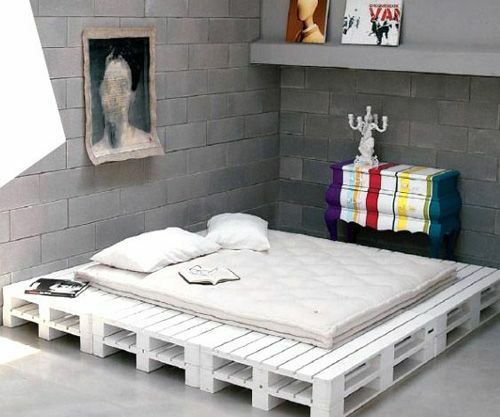 +++ For beds using wood pallets. First of all, the wood used to build pallets is the rough wood that has not been sanded or polished, so to make your bed smoother you can use sanding machines to remove the jaggy lumber on the surface of the bars wood pallet. After finishing the sanding process, you paint a primer on the surface of the pallet wood, this medium has the effect of both protecting timber and making the wood surface smoother, it is also a primer foundation to paint surface better. Next, use the paint you like to paint on pallet wood. Finally, put the pallets together to form a bed. And now put your bed in the proper position and spread the blanket, pillow on the couch. Start the refreshing and relaxing moments with your achievements. The worship of ancestors has become the beauty of Vietnamese people and especially to show respect to people who have passed away, Vietnamese people often choose beautiful altars made from precious and durable wood materials to use for a long time. However, when selecting wood to create an altar with the best wood level, it is also essential to focus on wood. The altar is considered to be the spiritual connection between the invisible world with the earthly people, between ancestors and descendants, and it is always placed in the most solemn place in the house. Therefore, the material for making altars from the past has been carefully selected, for example, you have to choose the right kind of wood to meet the need of precious timber, fragrant, durable, long-term use. In particular, the top of the table is Jacquier, more expensive is Basswood. These two types of wood ensure durability for hundreds of years. 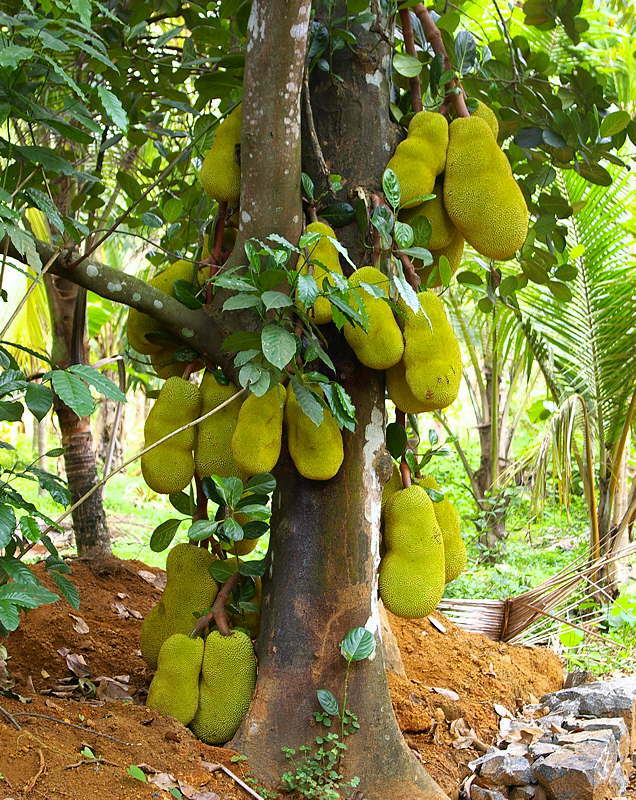 The old people said that Jackfruit trees are always different and more useful than other plants: Jackfruit grows from the body, this symbolizes proliferation and prosperity. Jackfruit wooden altar shows the abundance, wealth, development. Jackfruit trees are easy to grow and grow even in gravel and barren soils, which means you will have the stout will to overcome all difficult situations. Jacquier in any region has. With advantages over other types of wood, it is light, easy to find, easy to produce, easy to engrave, easy to hang, durable. Notably, the nature of Jacquier is stable, wood surface is smooth, fragrant, not a termite, less warping. The Jacquier used for a long time will turn into a dark red; it looks very ancient and sacred. The wood is fragrant and not have the termite. As we know, wood has a lot of aromatic smell, Narra Padauk is also a unique scented wood. However, it was never used to close the altar because it was prone to warping and cracking. Folk culture researcher Le Quang Khang said: The ancient worship objects are often made of jackfruit wood because the wood had fragrant and had no termite, jackfruit trees are a symbol of wealth. Also, jackfruit trees also represent abundant growth and development. Jacquier is not only light but also flexible; it has quite stable physical properties, no termite, little warping and the wood surface is smooth … The ancient and exact altar is usually closed with pure wood, avoid pairing two pieces of wood into one because this is the taboo thing. Jacquier is effortlessly to occur because many jackfruit trees are located in rural areas in Vietnam. Even, there are houses planted Jacquier in gardens with a large area to collect both fruits and get timber. Every family in the countryside almost use the altar. The altar in the rural area is almost like any family, of course, to save the family economy, they will use the plants available in the garden to close the altar. According to the artisans, from the past to present, the altar always uses woods to complete such as Jacquier, Menghundor and Brownlowia Denysiana Pierre wood are all the best, easily chiseled, carved stations, rarely warp while the durable can be up to 200 years. The notes are significant and necessary when making the altar. You should choose 100% solid wood and no cracking, no warping, absolutely no use of used lumber. Also, when choosing wood as an altar, it is also essential to use clean, a wooden plate and especially avoid pairing two pieces of wood as one. A proper altar should abide by the rules of worship so that the worshiping space is always solemn, revered and aesthetically beautiful, both cultural, artistic and spiritual depth. It is also the pride of descendants with ancestors. Today, when it comes to carpentry, everyone thinks of woodworkers. Carpenters are a favorite way of making small carpentry in the family and craft factories. Today, in factories manufacturing and processing wood in general, carpenters working there are called carpentry workers. From plains to hilly areas, wooden objects can easily be found in any family. Wood is considered one of the primary and most important materials, and it serves the production and daily life of the Vietnamese people throughout the history of development for thousands of years. The workers are the ones who shape the wood and send the soul into timber. They formed a profession with a straightforward name – Carpentry. A carpenter works with construction and repair of items, structures made from wood. Moreover, they are passionate about things built from timber and create wooden products from their skillful hands. Calculate and measure the specifications on materials correctly. Constructing and installing wooden stair architectures, wooden doors, wooden floors, checking, painting and fixing, replacing door frames, stairs … (for those in charge of wood architecture in construction). Works such as designing vignettes, filing, trimming, carving fine arts, assembling, painting, polishing, and finishing products. Creation, updating new designs, ensuring adequate sources of materials (for home appliances or artisans). Marketing the products, introduce products to users. – Hand-held saws: this machine is very suitable for cutting small details in a quick time. – Hand-held grinding and cutting machine: It is designed to be compact and easy to use with many features used to sharpen or smooth welds, sharp edges in small positions or corners. – Sanding machine: is a tool to help you save a lot of time and effort compared to the conventional polishing method. For ease of implementation you should use the best wood chisels, best drill presses, best circular saw, … and use the best wood level to get an excellent product. Usually, every mention of carpenters is immediately thought of wood. Therefore, their work will be a place to store a lot of wood like wood factories. Woodworking has a tradition, and woodworking workshops are often distributed in clusters, it forming craft villages. Those who dream of becoming carpenters can work in the woodworking workshops of these villages or the wood factories of the handicraft companies. To become a carpenter, you can apply for training at woodworking workshops, in the famous craft villages. 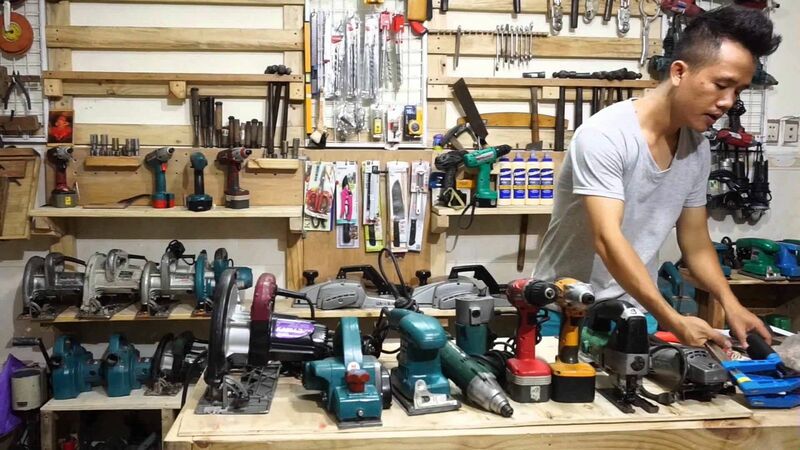 Besides, you can ultimately learn carpentry at home and open yourself a woodworking workshop. However, studying carpentry alone at home is quite hard. You can gain knowledge through the Internet and test. It will be a lot harder than going to carpentry villages to get a job because in there you can be guided by artisans who have extensive experience in woodworking. Carpentry is very hard but also very interesting. Carpenters are critical people; they create extremely sophisticated wooden objects. These wood products have great value for human life. So, Let’s love the carpenters ^^. Hanging too many feng shui paintings in the living room of the house: In terms of feng shui, hanging too many woods carved pictures in the living space will cause feng shui to be disturbed and prevent animation flow. In terms of aesthetics, hanging too many woods carved paintings will create a sense of visual complexity and loss of aesthetics for the house. Before buying feng shui art, the owner of the house needs to remember the principle of not changing ”Less is rare, rare is luxury,” this will help feng shui paintings in the house become valuable and create space luxury for the home. Do not deliberately use beautiful woods carved paintings to hide the shortcomings of the wall: One thing that any paintings player is confused to hang wood sculptures in a rough, moldy position. It is not recommended because they will make your home lose balance. If the house is not flat, moldy, you can use wallpaper to support. Should not hang pictures in places directly affected by sunlight or too high humidity: Beautiful paintings are beautifully sculpted with the best wood level, “Everlasting with time” in the best conditions. Direct sunlight conditions or high humidity will reduce the life of the painting. Things to do before hanging woods carved paintings. Creating a balance in the art space and living space: using woods carved paintings with dimensions not exceeding 1/3 of the size of walls. Creating a flexible layout in space: The height is reasonable to hang the picture is the same level as the eyes of the viewer. For walls with a height of about 3 meters, the ideal distance from the floor is about 1.55 meters. When hanging pictures above the sofa in the living room, the perfect length is a hand from the top of the chair to the foot of the painting. Should hang woods carved paintings in the living room: The living room is where the family’s activities and is the center of the house. Therefore, hanging pictures with feng shui meaning like Tu Quy paintings will attract good luck to the family or hang wood paintings with great mascot the Dragon – the Qilin- the Turtle- the Phoenix will help homeowners prevent bad air currents, protect peace for family members. Should pay attention to the direction of the picture: The ideal course to hang wood paintings is the North, Northeast, East. Each side symbolizes the homeowner’s health, career, and luck. Therefore, homeowners need to choose pictures that match the direction of the house to be lucky and prosperous. North of the house symbolizes the career and success of the owner. It is recommended to hang paintings belonging to the waterway such as carp wood paintings, landscape paintings to support the public road. Northeastern part of the Earth should hang paintings have eight horse, and big pictures successfully helped money to water and career advancement. East represents health and life. East belongs to feng shui earth element and is the most suitable direction to hang landscape wood paintings. Tu Quy’s wood paintings for feng shui wood element, it brings good luck to family members. Attention to the location before hanging woods carved paintings is extremely necessary because of the feng shui meaning that brings luck and prosperity to homeowners and family members. In terms of aesthetic meaning, it beautifies your living space. Spring is the season of trees sprout emerged fortune, a starting season for a new year. To revitalize the house and bring the wealth to the family, the redecoration of the house during the new year is a must. An indispensable object in the feng shui decorating is feng shui pictures. Fang Shui pictures have the role in enhancing the openness, broadening the vision, eliminating the narrow prejudices of space. Owning a feng shui picture in the house, the landlord not only feels secure to do business but also has an additional work of art to make the home more attractive and glamour. According to the customs of Vietnam and China, each of the 12 animals corresponds to one year, and it will represent the character or future work of that person. Rat is an animal fear of light and noise but very dynamic and positive. People born in the rat year should choose different types of feng shui paintings: Dragon paintings, sublime landscape painting, the direction of flowing water or the dragon’s scroll. These pictures help Rats have right supporters, good transport, avoid gossip, family fullness. Hanging pictures in a family of mandarins will bring a fame line and a step up high. The best hanging position in the living room is the wall to the left of the living room. Ox is considered to be a diligent, hardworking, firm. This age is suitable for all kinds of paintings: spring, autumn landscape, old trees or grass fields. Hanging this feng shui painting will become a significant advantage of the boss, and they will have money, health, longevity and prosperous families. Location of painting is in the south (from the front of the room). For the wood horoscope owner, Fang Shui pictures should be hung in the North. These paintings help expel evil, add fortune and are good for the domain, increasing work capacity, affirming position. Location hanging in the living room, hall. Those who hold the Cat are ambitious and talented, and this age conflicts with the Rat age. The cat should hang feng shui paintings: pictures of pine trees – bamboo trees – daisies – apricot trees or orchids are blooming to get lucky. Feng shui paintings help increase fortune and luck, successful learning, favorable career. Location of hanging paintings in the living room and office, choose the East and Southwest. The dragon in the myth of the Eastern is the Ocean of the universe, the royal authority symbol. Accordingly, dragons are present everywhere, underwater, on the ground and in the air. Dragon is a symbol of water and a favorable sign for agriculture. People of the Dragon age are sincere, aggressive but very hot and stubborn. They are symbols of royal power, wealth, prosperity. Painting of feng shui is suitable with this animal such as Peony, eight horses, or Thanh Long Hi Thuy painting. Hanging this painting helps the homeowner be prosperous, succeeding successively and noble than people. The position of the painting is in the East or the left (in the direction of the room). Pictures of horses or flowers of these paintings are forbidden to hang in the South, because of the “Fire broils doors of heaven,” its lead to their children are challenging to teach, their health is not good. Those born in this year has a calm and profound personality. Feng Shui picture works with this age like flying dragon paintings, eagles in heaven or peony, carp in a lotus pond, pine tree – crane. For paintings of eagles and dragons that help reduce bad things, things are promising. Hanging flower paintings with the desire to rich, carp helps to increase the life of the owner, the pine tree – the crane brings eternal fortune. The eagle painting position is in the living room, with the eagle head facing the door. Avoid hanging bedrooms, reading rooms, worship rooms. For the remaining feng shui paintings, you can hang in the office or the living room as well. People born in the Year of the Horse selected paintings with the pure and noble qualities such as carp, the portrait of water, picture with pine trees – cypress – bamboo – apricot tree. These paintings bring prosperity and increased life expectancy for homeowners. Location of Feng Shui painting: in the hall, living room, working room, study room. Should hang the back of the picture to the north, southeast, southwest. Goats should choose painting, painting grass, flowers, peony, painting of grassland, religious paintings, Buddhism, Guanyin, a picture of Buddha. Hanging this painting brings wealth and richness and people’s aid. Depending on the fortune of the host Wood element, Earth element … to choose the right picture. The hanging position is in the East or the left-hand side of the sitting direction in the living room and office. For religious paintings and the demotic script can hang a bedroom. Monkey is talented and often skilled at cash transactions, but his personality is quite erratic. Feng shui paintings with age: choose pictures of pine trees – cranes, bats and houses with middle-aged people are good for longevity, peaceful family. If the landlord wants to go to society, he should choose to use the conifer trees to help the relationships improve, and the business is good. Picture position is in the North, Northeast, Northwest, Southwest. Rooster wants a favorable career development, good destiny and a peaceful and cozy family, must choosing a painting is Phoenix, ostrich, peony. Location of Feng shui painting is in the shrine room. It can also be the house of the eldest son in the family or the central position in the house. Feng shui paintings with dogs like peony with eight, nine flowers. Will bring glory and wealth and every job in a convenient life besides portraits of Kachou Fuugetsu and landscape painting help to protect the family’s domain. Location of Feng Shui paintings is in the office or living room. Attention should be given to hanging pictures in the Southeast, East according to fate fortune. People born in the year of pigs are suitable for feng shui paintings such as grass flowers, birds, mascots like Tam Duong, Bach Hac map; word paintings. Hanging up this painting with the hope of people’s aid, favorable business, and everything is lucky and convenient. The painting position is in the living room, office, with southwest, northeast, northwest directions depending on the fortune. Besides choosing feng shui paintings, the interest in hanging pictures is also very significant. Ideally, you should hire a painting painter, and they will use the best drill presses tools such as Best Dewalt drill, Best Makita drill,… That will help your paint stick on the wall, and you can safely enjoy your painting, At the same time feel the luck that this feng shui painting brings. The above is an article that I suggest choosing age-appropriate wall paintings for 12 animals. Hopefully, through this article, you can know how to select feng shui paintings suitable for you. Painting can be called one of the hobbies or passions of humanity. Today I will write about an extraordinarily unique and novel art form that is woodblock printing. Wood carvings are a type of art and also a means full ability to express emotions and contemporary art. Today, wood carvings are carried out on a broad, rich framework in terms of visual performance. It is no longer in the glass frame or collection but occupies a vast space, can participate in installations inside or outdoors. Woodblock printing can convey more profound, more sophisticated areas, expressing stronger ideas through those forms. The technique of printing with relief woodblock printing is the oldest historical printing method. In Europe, the first wood carving works were born between 1400 and 1500, in monasteries of Bavaria and the Alps mountainous region. These are all single-sided prints of individual pages, in the form of single leaflets or rare books that are used to spread ideas about art, worldview, and religion … Wood carving Europe reached its peak in the period Revival when artists like Albrecht Dürer and Hans Baldung created high-value wood carvings. In particular, Albrecht Dürer freed woodcuts from the feature that it only illustrates books, while also bringing a new definition of woodblock painting at that time: an art of communication. This graphic technique developed in East Asia, it is independently of Europe and has an earlier history. In China, wood carving became popular in the Song Dynasty (960-1279), which was when artists joined together to set up woodworking workshops. 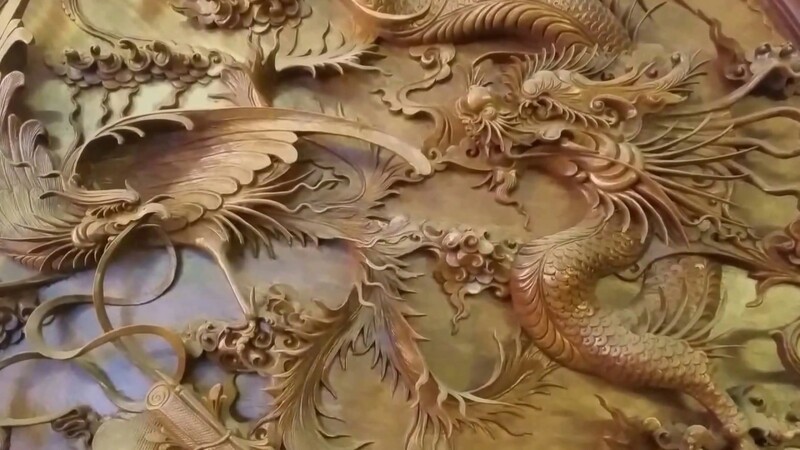 Production of Chinese colored wood carving reaches a high level of perfection. In Japan, wood carving developed as an art form since the technique was spread from China at the end of the 8th century. Wood carving in Japan’s heyday during the period from the 17th century to the 19th century. The first Japanese wood carvings were all religious-themed images, composed in the temple’s wood carving workshop and it has many functions such as individual woodblock prints in 15th century Europe. “Gravure sure bois “is the word in French; it means« gravure-carved »and« bois-wood »means carving on wood. It is a technique in printing with the support of chisels and edges. Woodcarving use this technique. When an artist draws an image on the surface of a wooden block, the part without ink is removed, while the drawing on the cover carries the ink to be retained for printing. Electrical tools: portable drill, electric saw, wood sanding machine, … these tools will help wood carving become more straightforward and more accessible. Especially with large wooden paintings, these electronic tools will promote their great effect. Chisel: The chisel will have an oblique angle on a chisel-like blade or may have slopes on both sides of the chiseled edge. The top part of the tool can be ground at a tilt or flat angle. Some types are also bent before or after. Most carvers often choose for themselves more individual chisels to be more flexible in the process. Wood file and wood grain file: Wood files are usually rough, big and straight. The wood file is square like a grinding tool, but you can still find thin records with a slightly curved tip that looks like a wood file. Group of tools used for planing wood: After finish the carving and formatting work for the piece of wood, the next is to use sandpaper to rub the surface of the portion of wood. It is a reasonably necessary operation to prepare for painting or coloring and other substances on finished woodworks. Sandpaper, rough cloth or rough cards will help with this smoothing operation. Woodblock printing needs meticulousness and care in each carving, wood chisel features of artisans, that rusticness has led viewers to go into a gentle story naturally that the creator of woodblocks wants to shows. The subtle integration of artisans has brought the spirit of drawing into the picture, which gives viewers the most realistic feel. 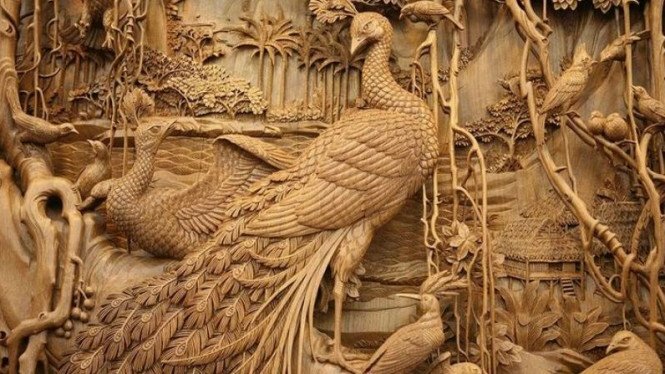 According to the flow of contemporary art, in addition to the modern materials, wood carvings feature features of aesthetic beauty for artists to create creativity and dedication. I know I have been neglecting this for awhile. I don’t have much to say (or rather i choose not to) say alot. In less than 2 weeks, it will be Benny’s 30th birthday. WOW!! It still amazes me that I have been with him since he was in his early 20′s! I remember being 26 years old when I met him. Time sure does fly by. I don’t wanna jinx myself by saying this *knock on wood* but things are starting to smooth out (PRAISE GOD!) and the drama is dying out. I feel better. I feel relieved. I feel thankful. I feel blessed and grateful. I feel humbled. I saw this quote on Twitter yesterday, and It got me really, really, REALLY thinking–hard. I really started chewing on it, and thinking about that song, “Love Never Fails” by Brandon Heath and every time i hear the words: love does not run love does not hide. Love still believes when you don’t it puts everything into perspective. This past week was really rough….